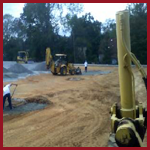 CSRA Site Work & Pavement, Inc. is your locally owned and operated site and asphalt paving contractor for quality site construction in the Augusta, Georgia area. We are a licensed general contractor specializing in site construction including utilities, grading, and paving. 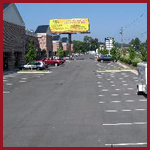 Our company provides first class service in site preparation and parking lots. We offer all-inclusive package pricing for site prep and paving services. CSRA Site Work is lean and efficient with all projects. By doing so, we are able to provide you more for your money. 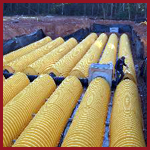 Contact us to receive a free estimate on our site work services. 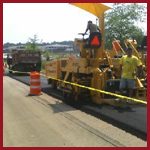 CSRA Site Work & Pavement, Inc. is a locally owned and operated business serving customers in Augusta, Georgia since 1996 and incorporated in 2000. We have 100 years of combined experience in our staff, and are the third generation in our founder's family in the paving industry, stretching back to 1946. We provide our services with integrity and honesty, with a focus on paying attention to detail, to provide our clients with the best possible experience. It is through persistent efficient ways of doing things that allowed us to survive the 2009 recession and economic downturn.